Sohil Shah, a high school senior at Memorial High School, has conducted research in the Department of Chemistry at UW-Madison for the past several semesters and summers. Shah works with Professor Robert Hamers on projects related to nanoscience, or the study of tiny atoms, molecules, and objects. 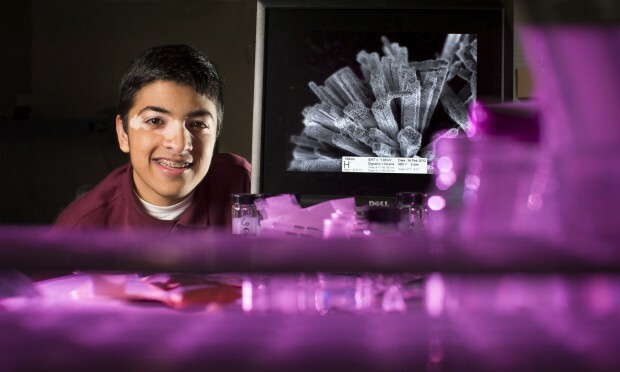 This unusual research partnership was recently featured in a story in the Wisconsin State Journal, which highlighted Shah’s research accomplishments, as well as his most recent achievement: being named a finalist in the Siemens Competition in Math, Science and Technology.